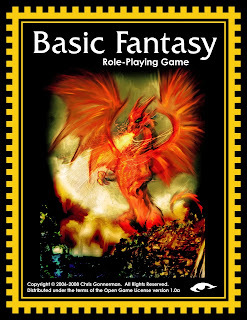 The blog Tenkar's Tavern has started a tradition: today, January 31st, is now the Basic Fantasy Role-Playing Game Appreciation Day. 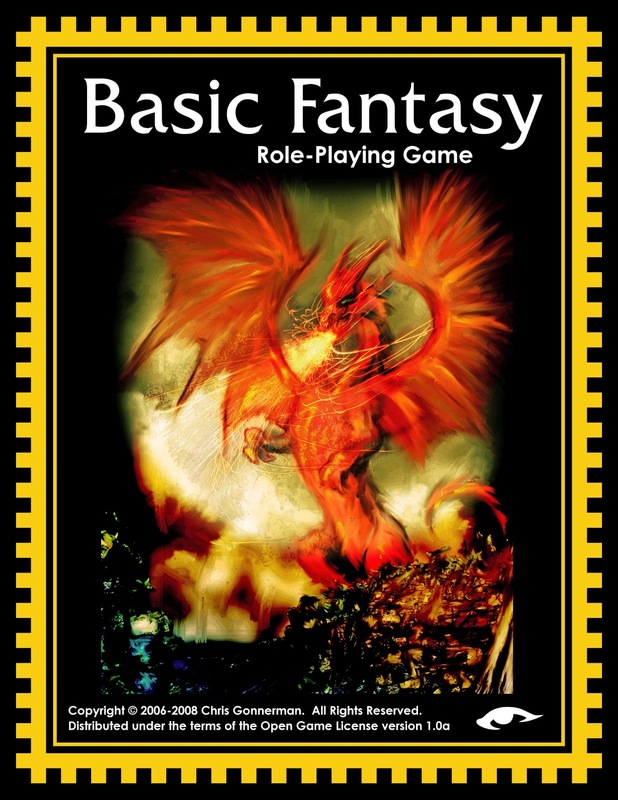 And what is the Basic Fantasy Role-Playing Game? 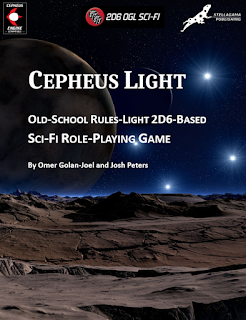 It is a free (in PDF form; the print version is provided at production cost with no profit for the author) old-school-style role-playing game. It is inspired by old-time Dungeons & Dragons, but contains many new-school sensibilities and comforts, especially ascending Armour Class (and no annoying THAC0) and somewhat simplified mechanics. The core book is 154 pages long and contains EVERYTHING you need to run fun, memorable role-playing campaigns in the vein of old-time D&D. I have run an entire campaign with this ruleset and enjoyed the hell out of it. In fact, I switched to BFRPG from D&D 3.0E in the middle of a campaign as 3.0E was a chore to prep for and was growing cumbersome to run as the PCs went up in level. I chose BFRPG as a replacement as it had ascending AC (most retro-clones back then had descending AC and some had THAC0). I must say that prepping for BFRPG and running it as the DM was loads of fun. 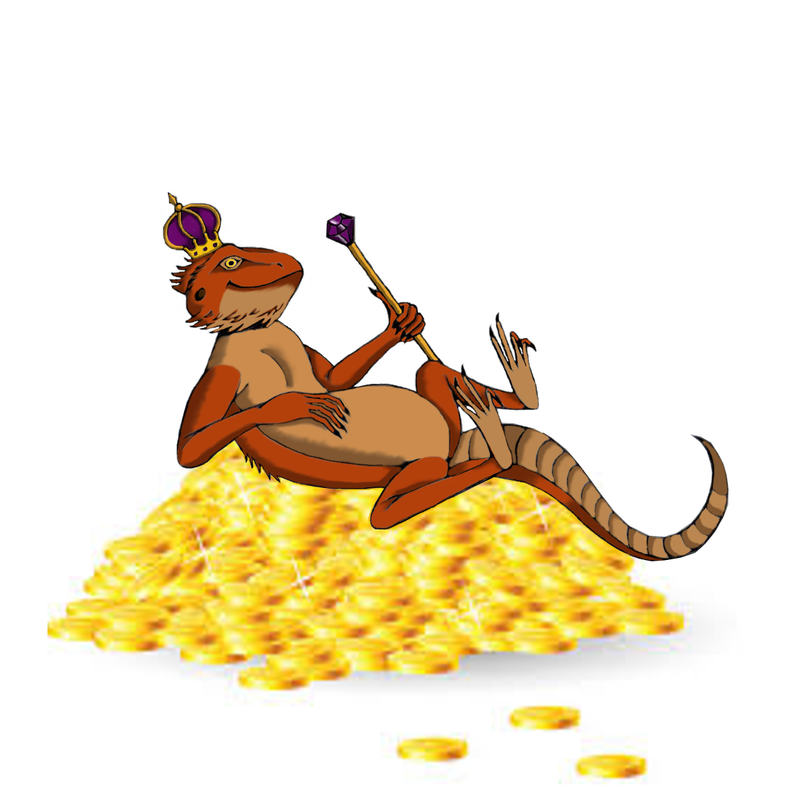 And best of all, EVERYTHING and ANYTHING made for BFRPG is available FREE of charge from the BRPG Download Page, tons of PDFs giving you heaps of options to customize your game. While I have switched to ACKS, which is an even better old(ish)-school fantasy RPG IMHO, I still have a warm spot in my heart for gool ol' BFRPG. Highly recommended!